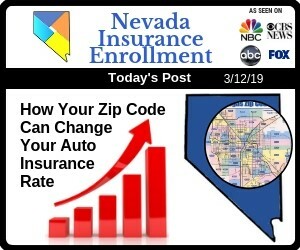 While drivers may pay more for coverage depending on where they live in the Las Vegas region, Nevada Insurance Enrollment can help them sign up for high-quality auto insurance coverage for an affordable rate. A driver's auto insurance premium is calculated based on numerous factors, including how many claims they've filed, whether they've had any lapses in auto insurance coverage and how clean their driving record is. In addition to these, auto insurance companies also consider variables like a policyholder's gender, age and whether they own or rent their primary residence. When it comes to a policyholder's auto insurance rate, their personal factors aren't the only thing that their auto insurance company looks at; their geographic region also plays a significant role in the cost of their coverage. To determine how geographic region will impact a policyholder's auto insurance premium, an auto insurance company considers the overall claim history for the region. Some geographic regions have a higher volume of claims than others, even within the same city. For that reason, drivers within different areas of a state, city or zip code may pay vastly different premiums. Some types of losses are more common in certain geographic regions. To offset this increased risk, auto insurance companies charge policyholders in high-risk regions higher premiums. Some common regional risks that may drive up the cost of auto insurance include the number of vehicles stole, how many property theft claims are filed, how common fraudulent injuries claims are made, the volume of vandalism claims and the frequency of natural disasters. Surprisingly, living in an area that is associated with prevalent crime doesn't automatically result in higher auto insurance premiums, and living in a low-crime region doesn't necessarily equate low auto insurance premiums. For example, Nevada residents who live in a region that is associated with high crime may pay less for auto insurance coverage if a majority of the region's residents use public transportation rather than a private vehicle. Similarly, those who live in a region that has a lower crime rate but one in which drivers file claims at a great frequency may expect to pay higher rates for their coverage. Auto insurance rates may also vary widely by neighborhood. Even within the same zip code, different neighborhoods may have different risk factors. Older neighborhoods or apartment and townhouse complexes are more likely to have street or parking garage parking. The vehicles belonging to the residents who occupy these dwellings are more likely to be vandalized or stolen than a car that is parked in a private garage overnight. Additionally, drivers who live in densely populated urban areas are more likely to get into an accident than their rural-dwelling counterparts and may, therefore, pay more for their coverage. Because a driver's location within a region may affect their auto insurance premium, their auto insurance agent should be notified if their living situation changes. 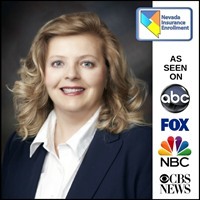 Nevada Insurance Enrollment auto insurance agents can help local drivers obtain the most affordable coverage available.